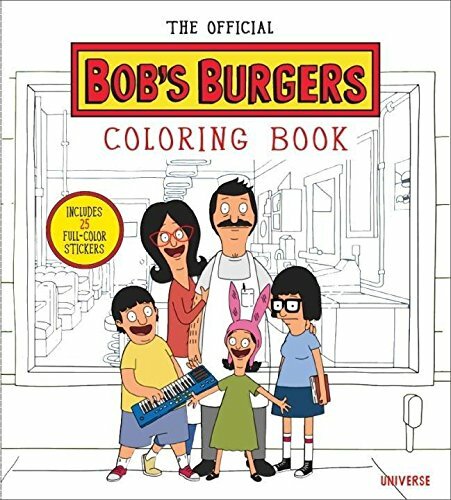 This is a nice purchase for any Bob's Burgers fan (otherwise you'll probably want to pass it up.) 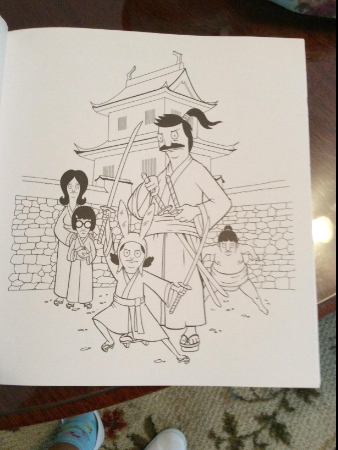 It is the first official and, so far, only coloring book based on Fox’s animated hit TV show. Bob's Burgers fans will enjoy tickling their memories and funny bones with a great collection of images recalling favorite moments from the show and leavened with some puns to make you grimace or giggle. 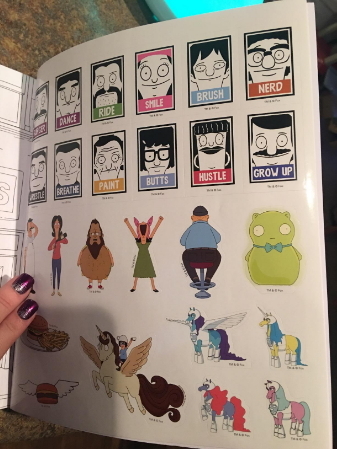 Fans love the 85 drawings of the Belcher family, including Bob, Linda, Tina, Gene, Louise and other characters from the show, including Kuchi Kopi. 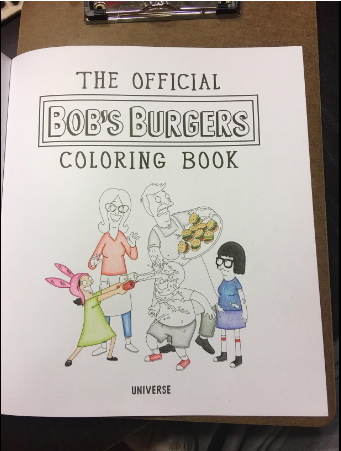 There are scenes from iconic episodes (such as Tina Wrecks the Car), create your own burger and burger of the day pages. The illustrations range from simple to moderately detailed, and reflect the show's animations. The 25 stickers in the back are a big hit as well. The paper is of good quality, but be aware that illustrations are printed on both sides of the pages. This design choice is pretty much universally hated and the major source of complaints from buyers. This is partly because the images are so endearing to the show's fans that they really hate to lose any images to bleed-through. There are also a number of two-page spreads, which combined with the double-sided pages means you have to be careful with what and/or how you color. 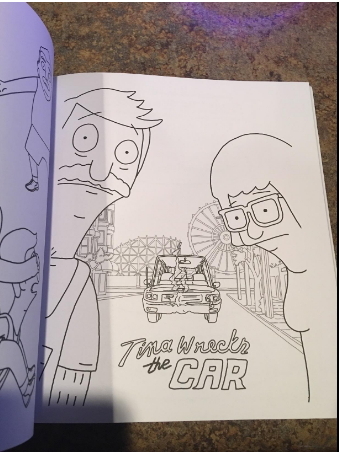 So this may not be the perfect coloring book and may not mean much to people unfamiliar with the TV show. But for Bob's Burgers fans, it should be a pleasing purchase or gift.